A very early next morning saw Gordon and I sitting on this wall directing a digger to open up another test pit. It was slightly larger than average at 20m by 10m. Things in Rhynie had just got serious! 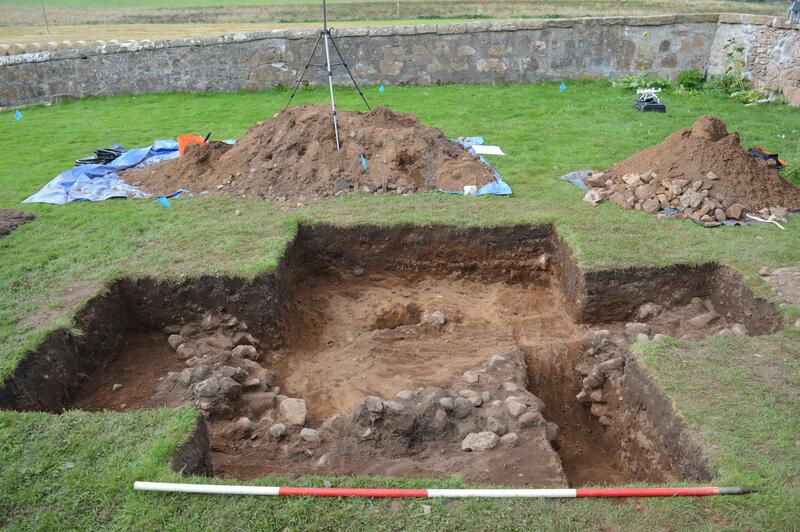 Very quickly it became apparent we had archaeology in the mega test pit. A round ring ditch was tentatively identified as a possible round barrow, smaller charcoal rich features as possible pits. 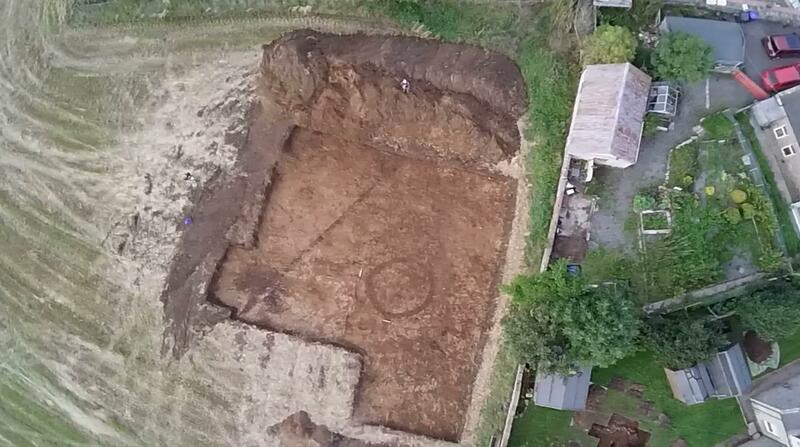 A couple of days of cleaning, identification, excavation and recording later and we had confirmed the presence of a round barrow (with no central grave) and a series of charcoal rich shallow pits. The fact that the pits were very shallow and the barrow ditch was only 20cm deep means we are possibly looking at a seriously truncated site due to repetitive ploughing. 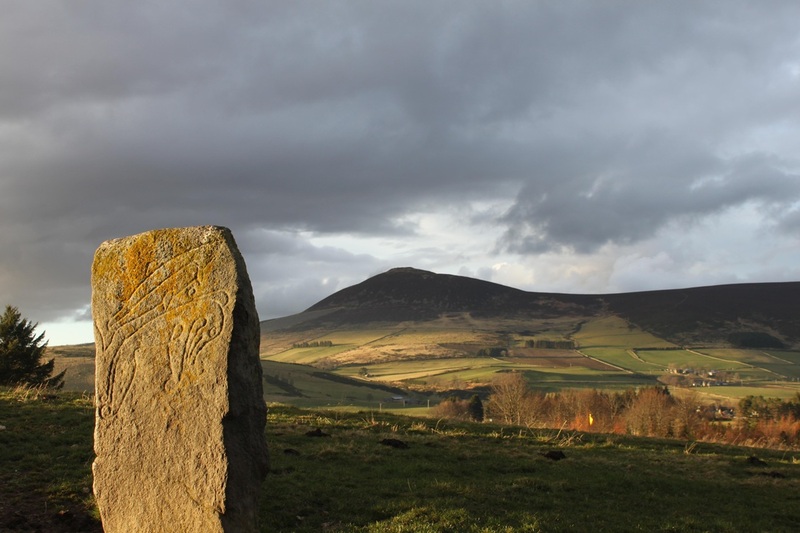 The lack of central grave cut could possibly be explained if the barrow is prehistoric rather than Pictish. With no finds from the site it is impossible to pin down the date at this stage but we hope to carbon date the cairn and some of the pits using charcoal found at the base of the feature. 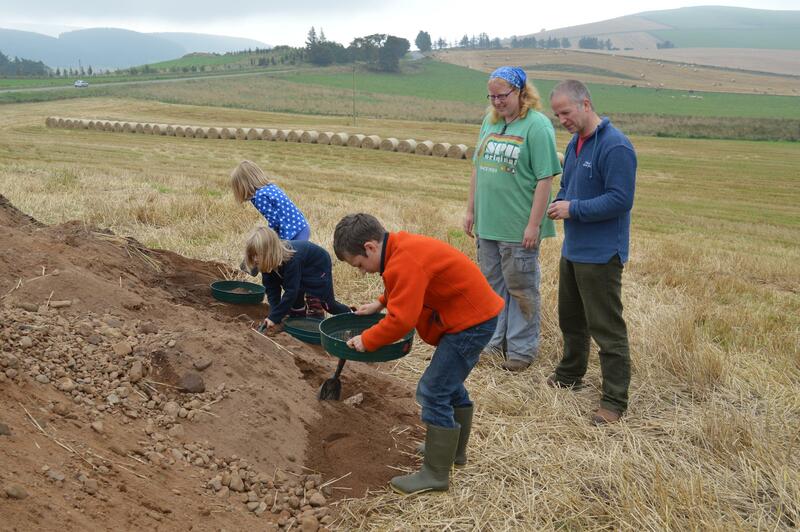 It was a great week involving community volunteers, archaeology students and the local school (nursery class to P7) visiting the site to dig and sieve for finds. Thanks to everyone who came along to help out on site or to visit and to Steve and Dawn, archaeologists from Northlight Heritage. We are grateful to the community of Rhynie who let us dig up their gardens, the Beverlys for letting us dig up their field and to Daisy, Debbie and Hayley at Rhynie Woman for the hospitality and all the cake! 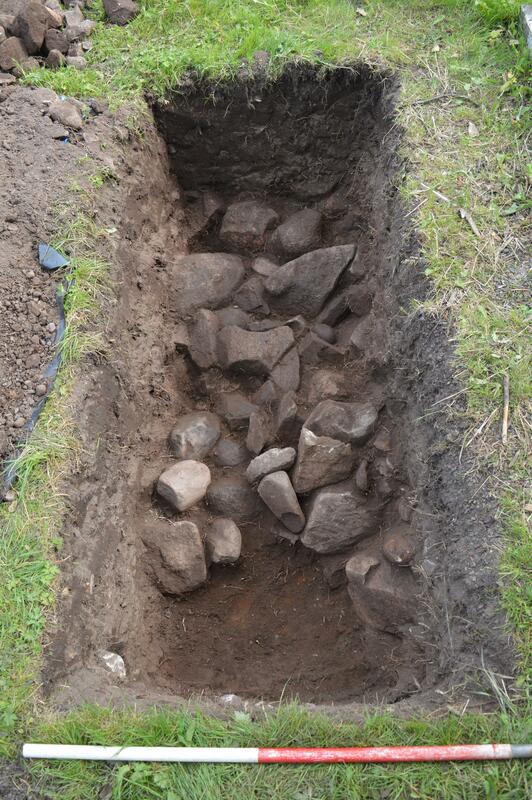 More results on this season of the project to follow as we get them….in the meantime check out the Rhynie Woman facebook page and the REAP blog for past excavation info. Rhynie 2014 was featured on the BBC4 TV Programme Digging for Britain in February 2015, along with the Pictish silver hoard found in Gaulcross, Aberdeenshire that year by the same team.